March 14 last year, Amazon launched Amazon Simple Storage Service (Amazon S3). At the time, you could only program against an API to use the service to transfer files, so I waited for a while, convinced that proper services would be offered. Now that day is here! Actually, I was going to write this post in last November since most options already existed back then, but I encountered a problem when trying to access my Amazon account (more on that below). Anyway, the idea with Amazon S3 is that you can store any amount of data for a very low cost on their servers, and use it as a secure back-up. Since transfers seems to fail now and then (it kind of makes me sometimes actually wonder about the reliability), it’s great o use a tool like JungleDisk, because it will keep trying to transfer your files, automatically, in the background if the initial transfer fails. It also stores your files locally, so no transfer fees are applicable for watching existing files if they’re in the local Jungle Disk cache. The downside of this is that you might have duplicates of your files; one copy on your hard drive in its original location, and one copy on the WebDAV server. Personally, I only keep files on the WebDAV server that that I frequently watch, the other ones are removed. 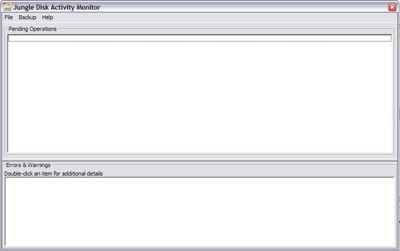 Since it works just as an external drive, it’s accessible through the Finder respectively Explorer. You just drag ‘n’ drop your files into it or copy and paste. AccountProblem – There is a problem with your AWS account that prevents the request from being served. Please contact customer service. After that, I repeatedly contacted customer service, but they had no idea what the problem could be. We e-mailed back and forth for some days (they’re good at fast replies, I give them that at least), but to no avail. After some Googling, I eventually found that this problem was related to my payment information. I contacted customer service again, but no, they said things should work, or something was wrong with my middle-ware product. If you’re looking for safe and very cheap backup, I would really recommend Amazon S3. No need to worry about malfunctioning external disk drives, burning backup CDs/DVDs all the time or other issues. Transfer the files to Amazon and you’re safe! Been using Jungle Disk for around three months. It works like a charm. Highly recommend it. I much prefer S3Drive to Jungle Disk. S3Drive gives you your S3 account as a network drive on your machine directly, without caching (like Jungle Disk does). Free as well. CrashPlan, my backup software of choice, unfortunately won't write to either JungleDisk or S3Drive yet – though I hear they are adding network drive support soon, which would mean I could have CrashPlan backing up to S3, which is ideal for me. Robert, why not burn three data DVDs instead? Am I missing something here? Glad we feel the same! Thanks for the tip! Windows-only, though, which is a downer. If you burn something on a DVD, you don't know how long it will last before there's any data loss. Also, any kind of damage (dropping, breaking, burglars, house fire) could occur and then the data's lost forever. Using an Internet-based storage service means that it is always available, from wherever you are, where they make backups of your data and basically has all the worries of making sure the data isn't lost. DVDs are fine, but not the only way I'd personally use for things such as images of my children. Thanks Robert. When I back up family photos, I burn two sets and send one set to my brother several states away. I can't do that on a daily basis however, and I see where a service can provide that level of granularity. I passed it on to the tech guys where I work, we were investigating exactly that and the solutions offered at a local level certainly cannot compete with such a low cost. Thanks for pointing this out! I'm sure Amazon have done their sums to figure out how to price this, but before you plump for S3 it's worth checking whether you could save money with a simple web-hosting company. Take DreamHost's headline web hosting: $7.95 per month for 140GB storage and 1.4TB transfer a month. At S3 prices 140GB storage costs $23, and 1.4TB transfer costs $216. I think S3 has a lot going for it: Amazon's size and reputation gives you a lot of confidence in it. You'd also have to assume that Amazon can scale a lot larger than your average web-hosting provider. But still… people need to do their sums first before assuming S3's the cheapest place to store their data. I'm glad it was of help to you! Absolutely, it's a valid point, and I second the opinion to encourage people to do their numbers. I guess it starts to matter when you look at a fair amount of data (like you mention, 50 GB or more). Before that, I think it's hard to compete with Amazon. Then it's also about trust: most people backing up a large amount of data want to feel sure that the company/service won't go away anytime soon, or start to encounter data loss. And, together with a very low price, I think that's why Amazon is/will become the real winner in this field. <blockquote cite="#comment-57745">If you burn something on a DVD, you donÃ¢â‚¬â„¢t know how long it will last before thereÃ¢â‚¬â„¢s any data loss. Also, any kind of damage (dropping, breaking, burglars, house fire) could occur and then the dataÃ¢â‚¬â„¢s lost forever. Using an Internet-based storage service means that it is always available, from wherever you are, where they make backups of your data and basically has all the worries of making sure the data isnÃ¢â‚¬â„¢t lost. Ah, $5 a month is way too pricy for me; at least, at this moment. But yes, we're all rats. I saw Jeff from Amazon at d.Construct last year talking about S3 just after it had been launched. He was talking about the way they'd put it together, the most important aspect of which seemed to be that they had assumed from the outset that things would go wrong. The whole system is built on the assumption that things fail. And the biggest advantage to this kind of system is that it's automated and real-time (if you use something like CrashPlan). No messing around with uploads, having to remember to back up or anything else – just programs running in the background. I wonder if Leopard's Time Machine will allow you to point the backup device to the Amazon S3 (or similar) service. I'm sure the upstream would be fairly small for day-to-day use: keeping costs down, and it would certainly save having to constantly connect up my <abbr title="MacBook Pro">MBP</abbr> to an external drive. Sounds like an interesting option, if it were to happen. I forgot all about hard drives! Doh! I have 3 in my computer, but even that's not enough. It has outstanding s3 support (remote edit, preview, favorites). Dave and the rest – thanks so much for an insightful post and the extremely valuable comments. I used to be perfectly satisfied hosting my photos on Flickr, but now that I have all sorts of data eg RAW files from my digital SLR, documents, videos etc – I have to seriously look into what Amazon has to offer with their S3 service. Even if Amazon and all its redundant storage were destroyed, you'd still have the originals on your local hard drive. It's extremely unlikely that Amazon's data would be lost, but it's close to impossible for that to happen AND for your local hard drive to become corrupted/stolen/destroyed on the same day. I have been struggling with backups for awhile now. I currently have 4 external drives, 2 of which are backups of the other two. But after that, I had next to nothing last week. Until I found Phanfare (http://www.phanfare.com/). Now this only supports my photos and videos, but it's pretty awesome. Unlimited storage all your photos and videos. Supports up to 20mb per photo and 2GB/10min per video. That's awesome. Also, they have redundant backups to Amazon S3 of all places. And on top of all these features, you can actually SEE your photos and videos, share them with family, etc. You can't do that with Mozy or Amazon S3. To me it's pointless to backup photos and videos to an online service if I can't see them or share them. I currently use Mozy for other data like music, documents, Aperture metadata, etc. Those are, of course, good options. If you want to display the files to friends and family as well, that seems like the best way to go. For me, when it comes to pictures, I share them with Flickr, which hasn't got any limit either, for $24.95 a year. One thing to keep in mind about webhosts like DreamHost is that using them as backup is against their terms of service contract. There was a big hoopla about this a while back when DreamHost reversed on earlier implications and explicitly said you shouldn't do it. I think the latest thing was that if the majority of your files weren't accessible from the web, they could possibly kill your account. It's one of those things where they won't do anything unless it is "abused" but the definition of that is open to interpretation! Personally, I'd feel much more comfortable with something like S3 for backup. One more expensive alternative that I've heard good things about is rsync.net. It's $1.60 per gig, but it supports subversion directly and ssh and ftp as well as webdav. I think a neat possibility could be S3 for big stuff like images and video and rsync for documents/programming (if you use subversion for that to track changes). Interesting, I didn't know that about DreamHost. Another thing to consider is that Google is most likely to launch a service to offer online backup, so it will be interesting to see what their services are like and what pricing model they will use. Yes, Dreamhost isn't an option for file storage. I have my own sob story about that. I've started using Amazon S3 now for my backups and I feel like it's a good choice. I think that their price point is reasonable. Expensive enough to make me feel like I'm getting what I paid for and not so expensive I feel like I'm getting ripped off. 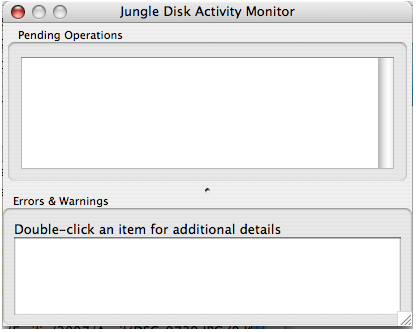 I just wish there were an alternative to Jungle Disk to be able to use a Subversion repository with S3. I am still on the hunt for that. Yes, I've heard similar stories about Dreamhost too. It would be great if Amazon were to offer Subversion access, but till then, perhaps this is a viable option for you: SvnToS3.